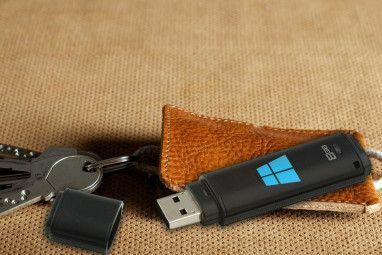 Did you know that you can use any USB drive 100 Portable Apps for Your USB Stick for Windows and macOS 100 Portable Apps for Your USB Stick for Windows and macOS Portable apps let you take your favorite software anywhere via a flash drive or cloud storage. Here are 100 of them to cover your every need, from games to image editors. Read More that has a capacity between 1GB and 16GB as a memory unit for your Xbox 360? Once formatted and prepared you can transfer profiles, game saves and other files from your hard drive onto your new memory unit. There’s a variety of reasons this might appeal, with the obvious being easily portable profiles and saves. If you’re visiting a friend for a night of games or living in a house with multiple consoles, a portable memory stick you can carry around suddenly appears quite useful. Best of all this takes virtually no time to do, and all you’ll need is a flash drive and your console. This walkthrough will focus on moving your profile to a USB stick so you can login to Xbox Live, play games and earn achievements (as well as being able to re-download all content tied to your account). Don’t forget you’ll also need your save files if you want to continue your progress, unless of course you’re playing a multiplayer game that stores progress in the cloud. 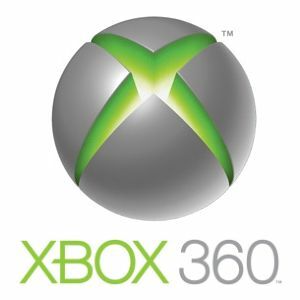 Luckily the Xbox 360 takes much of the pain out of preparing your new memory unit and transferring data, though it is not possible to copy game saves and profiles – only move them. As your USB device will be detected as an Xbox 360 memory unit there’s no need to specify folders or destination paths, just choose transfer and go. First of all make sure that the flash drive you choose doesn’t contain any important files or folders as all data on the drive will be lost once your Xbox has formatted it. Once you’ve checked out the drive, insert it into one of the USB slots on the front of your Xbox. Turn on your console but don’t sign in – you’ll need to be offline in order to transfer profile data after all. Select My Xbox from the vertical menu and scroll all the way to the right hand side where you can choose to modify your console’s preferences. Within this settings menu choose Memory, and your currently connected devices will be displayed, including an as-yet unprepared USB drive. Select the USB option and your console will report that the USB device has not yet been configured for use with an Xbox 360 and you’ll need to configure it. Agree to the configuration tool and choose Configure Now. Once complete your USB stick is ready to go. Back to the Memory menu and choose Hard Drive (assuming your main data is stored on the hard drive, which it usually is) to reveal your data. Profiles are stored in the Profiles folder and game saves appear underneath game content in Games. When you’re ready to copy something (you’re going to need your profile in order to play any of those saves, so best start there) choose Transfer. In your Storage Devices list you should now see the USB drive listed as a Memory Unit. You are now free to transfer anything you like, provided you’ve got the space. Profiles can easily be copied quickly, but game saves will take longer as you will need to visit each game entry and extract the relevant file. Your USB stick will now allow you to log in to Xbox Live from any console once you have plugged it in. Whilst your profile (and any other information) is on this USB stick you cannot login without it. Should you decide you need that USB stick back or you intend on using the same Xbox for a while then you can always transfer your content back. This is essentially the same as your initial transfer, only in reverse. Instead of transferring from your hard drive, transfer from your USB memory unit to your Xbox 360 hard drive. Game saves can get a little trickier here as you don’t want to overwrite any previous progress, so take care while overwriting files. If it all goes wrong (you lose your memory stick, for example) then you can always recover your gamertag via the Xbox menu (hit the Xbox button and select Recover Gamertag). That’s pretty much all there is to taking your profile, subscription and saves with you. Soon Microsoft will introduce cloud saving, which will inevitably make the whole process that little bit simpler, too! Have you tried this? Do you use your USB stick all the time? Has this helped you out? Let us know in the comments. 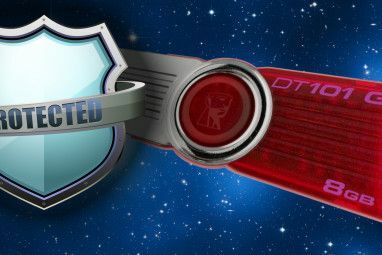 Explore more about: USB Drive, Xbox 360. I have used a USB to transfer my profile & saved games to a new 360. But when i open the game on the new console with my original account, it does not load my saved game. My achievements are all there, but the saved game wont load. What can I do? Have tried all of what's written and still won't let me move the gamertag to the memory stick. I really want to know if you can just transfer profiles to the Xbox one by USB. I have been looking everywhere for an answer because I have a lot of data on my 360 account (3 years worth) so I wanted to know if it's that simple. Or if there's an answer to transfer game licenses to one of my own other accounts without needing another console. I can't transfer it due to it being an old and I mean an old account and we can't find the account password anywhere and I really don't know what to do. Could someone help? I've been trying to move some Skyrim saves from one 360 to another, and it says the transfer was successful and all that and when I go to the hard drive they show up which is great but when I go onto Skyrim it doesn't show up and I can't load the save... On the Xbox I am moving the save from I only have Dawngaurd but on the Xbox I'm moving it to I have all 3 Dlcs so would that be the problem? When i download black ops 2 maps in my flashdrive on wireless xbox 360 and I already had my main profile (HolyVastus14) in my flashdrive. Then I want to put my flashdrive in other wired xbox 360, but not shown in games...which it already shown in storage device list...I dont know why...can anyone tell me why? Hello - can someone help me with the following xbox issue? I had an 8 gb maxell flash drive go "unformatted" with 2 profiles and all games saves for 2 yrs worth of Skyrim. I was able to move the data from the unformatted drive over to my computer. I purchased a 16 gb Xbox brand flash drive and am trying to move this data from computer over to new drive. When I put it in the Xbox it shows over 14 gb available, but when I put it in the computer to move the data over it shows less than 500 kb available. How to I get the data from the old drive that's now on my computer to the new one and back on my xbox? Hello, I'd like to know how to transfer game saves that I downloaded from pc and stored on a pendrive. I've already configured my pendrive for xbox, but the files doesn't show up. thats incorect. no transfer cable is needed. all u need to do is move all of ur save files to the usb and then move them from the usb to ur new system. just make sure its ben configured 1st, both consols are offline, and that when u plug in or remove the usb that ur console is completely unhooked. otherwise the back door program from ms wile try to wipe the usb do to prevent moding or cercomvintion of things that would make there products sutch as the transfer cable useless. ms loves there money u know lol. were the other 2 xbox360s come in. Recently I bought a xbox 1s. Well it is me n my girlfriend so we have transferred license before the ones we just use to watch Netflix or hulu. I was told I would not have to do a license transfer to the xbox 1s . To make a long story short there is 2 of us in the home I got tired of buying two of the same games on the first 2 360s we did a license transfer hers to mine, mine to hers it was all good. Then my disk drive kept saying open door. So I went and bought a xbox360 e I didn't do a license transfer. So it makes sence now why a few games wouldn't work. But anyways a few months later her disk drive on her 360 slim kept saying door open or closed you could knock on the top of the 360 n it would work sometimes. She did a license transfer to my 360 so i could play the games i had lost. But then it stopped. So time to get another xbox360. So when I got her this one she did that transfer to mine so she has like no access to hardly any of her games. Well I was gunna do a transfer to her 360 of my profile. Well when I got my xbox 1s I was told I wouldn't have to do a transfer but when I made it my home xbox or main Xbox it stopped me from doing a transfer. We lost all kinds of our game saves and had to start over. I guess what I need to no is we don't want to weight till January 2017 what can we do? Plz help anyone. Okay a buddy of mine let me download his account to download a map pack for zombies. Well I did all that and got it all downloaded n junk but when I go to go play it, it doesn't pop up on the map or anything. Is there something in missing? Unfortunately it doesn't quite work like that. Items purchased from Xbox Live (e.g. games, DLC, movies) are available to everyone who uses that console provided the account which owns them is still active on that system. If your friend then went home and re-activated his account on his own Xbox, that would have revoked the licenses on your Xbox. It's all about licenses see! or if i remember correctly you could log onto his account go on the game and load up the maps but don't play yet (like a game lobby, not with other people in it) then log into yours. I remember having to do that for minecraft which i didn't own but my friend did and it worked for me guess you could try it. I bought a new 360 system a few weeks ago for my son. It has a 4 gb hard drive. I am already having problems with the memory. I installed a 16 gig USB stick and it works fine, but just tried to play Need for Speed rivals, and it says there is an HD update and it will only store on the system hard drive. I do not have enough space on the hard drive. Anyway, my question is I want to buy a 500 gig system and possibly return this one or sell it, can I transfer my sons minecraft world to the new system? if I lose this game he will be very upset. He's spent many hours working on it. Can I just copy the saved minecraft file to a USB stick and then insert the USB in the new 360 and copy it to the hard drive? You don't need to return the unit at all, and in fact you can just buy a hard drive and expand the internal storage that way. I'd always recommend you buy a brand new hard drive for this purpose, it just isn't worth the risk of having it die on you early. The back of your 360 will have a little door inside which is a slot for a hard drive. You'll basically need to ensure you're buying the right hard drive, but if you go to a store and tell them the model (e.g. Xbox 360 4GB Slim) they should be able to point you in the right direction. With storage, more is always better. I don't think 500GB costs much more than the 250GB units, last time I checked anyway. Thanks you very much Tim. I am going today to buy a 500gb hard drive from best buy. I was going to a used game shop to get a used one. I will buy new now, as per your advice. Hmmm tough one to call without seeing it, but it does indeed sound like a hard drive problem. You may be able to restore the data, but probably not without using some third party tools and investing some time and effort. I don't know a lot about this, but I know that your 360 hard drive is a hard drive like any other, so it depends how far you're willing to go in an attempt to save your data. So... it sounds like things are going south from a HDD point of view. 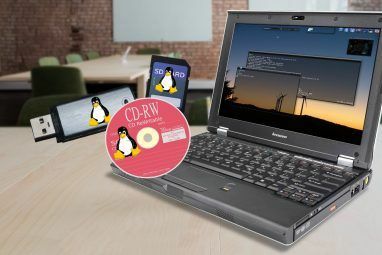 You can probably connect, rescue and restore to a new hard drive (or maybe it's just a corrupt filesystem and you can use the same drive), but it will take some effort. Did you read the article? The copy process is manual – you have finite control over what is copied, down to the files themselves. There's no automatic "copy everything" button. So choosing to copy your profile will copy only your profile. Head to the Games folder and look for your individual save files for any saves you want to backup. Just curious, and a little worried here, the USB device that I had configured on my X-Box 360 seems to no longer be configured, it was working fine the other day but when I turned my X-Box on yesterday it just poped up as an unconfigured USB device, so I wanted to know what was going on and can I fix this as I had some rather important save data on it. Is there a way you can connect the separate hard drive you buy from gamestop to a laptop? I jus dnt want to buy the hard drive n memory stick since im low on money right now. If you're interested in transferring between multiple hard drives then you'll need the official Xbox 360 Transfer Kit. The transfer is handled by the console in this instance. As for using non-360 drives as hard drives for your 360 - probably possible, though you'd need the correct drive, a spare casing, steady hands and patience. If you're after a HDD for your console then I have to recommend eBay - many people whose old consoles died have spare drives they're virtually giving away. Hope this helps, comment back if not! hi - i've started using a new xbox360, but want to transfer the data from the old one over to it. is it possible to add new data or does it involve wiping whats alraedy there? You'll need the Xbox 360 data transfer cable to do this! It will cost you too (from what I remember they ain't cheap) but comes with instructions for transferring content from one hard drive to the next (using the same interface described in my article above). The data transfer cable MSRP's at 19.99 USD. You can find them cheaper, but that's the general ball park. I love this feature and use it for 2 reasons, 1. I have an old school xbox with a 20gb drive and 2. I play games at friends houses a lot, and with the ability to take my drive with me I get my precious achievements. Hello, I have tried this before & it works. But any one knows how to explore the data. All it has is Data0000, 1, 2..etc., Looks like its all encrypted.